In 2012 Cyprus welcomed the establishment of the first and only British University on the island, the University of Central Lancashire, Cyprus (UCLan Cyprus), as an official member of the Universities of Cyprus. The campus of the UCLan Cyprus, expanding to an area around 70,000 square meters, is based in Pyla, a unique and beautiful community in the Larnaka district. 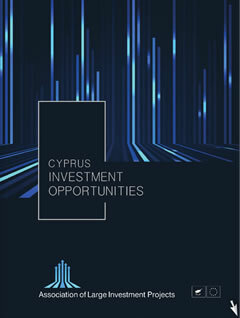 The location is unique due to its competitive advantages; it has a direct access to the islands main road network linking the main cities of Cyprus and especially its capital, Nicosia, which is just 20 minutes away from UCLan Cyprus, Larnaka’s International Airport is just 15 minutes away and, the nearest blue-flagged beach is just 1 kilometre away. UCLan Cyprus existing premises are able to accommodate around 2500 students with future plans to expand to more than 5,000 students capacity. Besides the compliments from the Ministry of Education for this private initiative, UCLan Cyprus has also received an International Prize for the quality of its IT and AV provision on its campus in January 2013 as the Most Innovative Educational Facility in Europe, Middle East and Africa. Starting initially with 3 Schools, School of Business and Management, School of Law and School of Sciences, it offers unique academic degrees that are automatically recognised, accredited and validated accordingly and at the same time by both the Ministry of Education and Culture of the Republic of Cyprus and the UK Quality Assurance Agency (QAA), along with accreditation by professional bodies of both Cyprus and the UK, offering to the graduates of UCLan Cyprus a unique competitive advantage, not only in Cyprus but internationally as well. UCLan Cyprus currently has exceeded the 500 registered students, and it is expected that around 600 UCLan UK students will be welcomed to UCLan Cyprus during this year only, as part of our internal students exchange programme. UCLan Cyprus vision is to be the hub of the island’s knowledge creation and dissemination linking the whole world with UCLan Cyprus, Larnaka and Cyprus. UCLan Cyprus mission is to be a University that is recognised for its commitment to outstanding research, innovative learning and valuable engagement with industry and communities. To be equally committed to both the exploration and the application of new knowledge, for its social and economic value as well as for its own stance. The interaction of research and knowledge transfer with high quality programme design will ensure the currency of knowledge and skills development that in turn will drive graduate employability and expansion of postgraduate activity. Commenced Operations on the 2nd of October 2012.